Your network of journalists and bloggers is a valuable asset. But are you making it work for you? Mustr helps you and your team organise your network of journalists and bloggers. That way, you can concentrate on improving your relationship with them. Ever since I started working at MindMeister I've been looking for a tool that would bring order in our many journalist and blogger contacts. We had multiple lists, mostly Google spreadsheets and Excel lists. Now, I've shared access to Mustr with our entire marketing team, which means that everyone can easily add new contacts in the right format. Finally, we feel that we are getting the most out of our network of journalists and bloggers. Relax about your 'lists' and start working on what counts: your relationships. Know who your friends and detractors are in the media, and what your history is with them. With just a few, intuitive clicks, create and target exactly those journalists and bloggers you need with your PR campaigns. Keep ownership of your media and blogger database, even if you work with an agency. E-mail press releases with high res images and attachments. Have access to your network of journalists and bloggers at all times. Know exactly who you're talking to, and what your history is with them. Keep track of your team's history with journalists and bloggers. Your entire team can add detailed notes about interactions with journalists. That way, you always know the history of a relationship. Create a powerful network with detailed profiles. 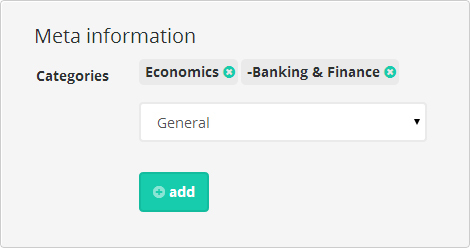 Choose one of the predefined categories, add free form tags and social media. By adding more information to profiles, you will be able to filter and target exactly the right journalists and bloggers for your projects. Outsource the boring stuff, but stay in control of your valuable network. Always. 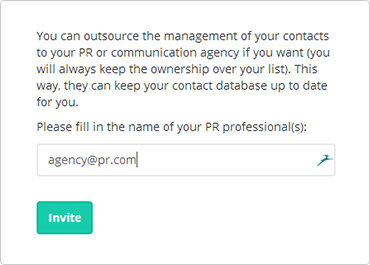 If you want to, you can invite your PR agency to manage your contacts. They will keep your records up to date for you. No longer working with an agency? No problem. Just as easily, revoke their access and reclaim ownership and control. Of course, you get the most recent, up to date information of your media contacts. Mustr was developed by a team of PR professionals and corporate communication managers who were tired of looking for a powerful PR solution that would fit ALL of our needs. So we decided to build it for ourselves. Mustr offers a complete and easy workflow for all PR tasks: share your network with your entire PR team (in house or agency), create communication projects with one click, send press releases with high res images. No one else had taken the trouble to bring all these necessary functions together in one powerful and beautiful tool. So we did that. And since we built it for ourselves and for our most demanding corporate clients, you know that it really works. The entire PR and corporate communications workflow in an easy and intuitive tool. With just a few clicks, target exactly the journalists you want for your PR projects. Add individual journalists or bloggers immediately. Someone in the list you don't like? Exclude them from the project with one click. The easiest way to send high resolution images to journalists, enriched with information like title, copyright and description. Can I do _____________ with Mustr? Mustr was built to fit perfectly into the workflow of PR agencies and corporate communications teams. 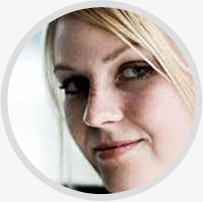 Can I share journalist and blogger contacts with my team? Can I send press releases directly from Mustr? Can I attach high resolution pictures in Mustr press releases? Can I add information to the photographs, like what brand of dress is on the photo? Can I add more information to the hi res images, like a quote from a designer? Can I attach PDFs or other files to Mustr mails? Can I use Mustr on my tablet and iPhone? Can I add notes to a journalist? Can I share PR projects with clients? Can I use Mustr in the US/Europe/Japan?